These two - where to start!? They are just so perfect for each other. I have known Haley and her family since she was a kid. When she contacted me to photograph her wedding I was SO flattered and overjoyed! They live in Chicago so we chatted on the phone for a few months. When I finally got to meet Joey in person and see them together I just knew they were meant to be. We did the engagement session on Haley's dads property which made it extra special. Thanks for letting us use it Tom! I had the best time with these two! They are fun, sweet, silly and we can just be ourselves around each other. That is so important to us when choosing couples. They really do become our friends! 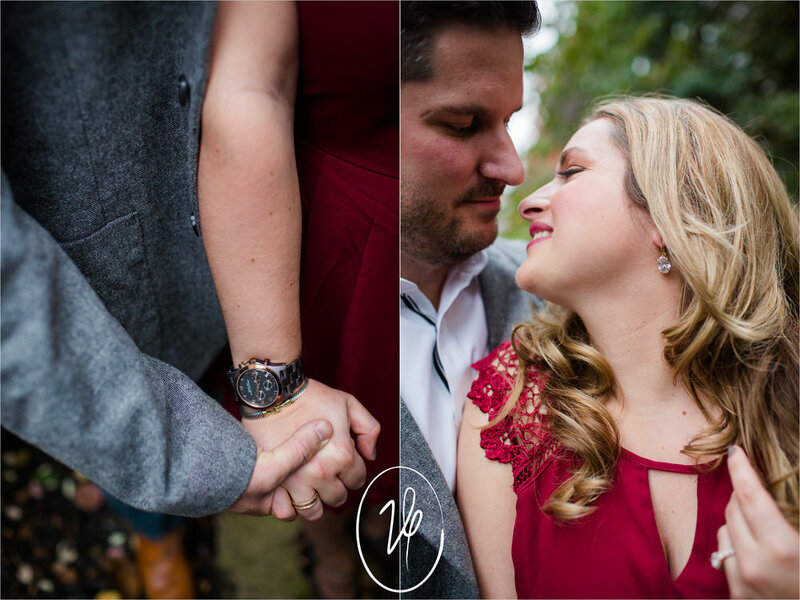 I think my favorite part of the session had to be when they were dancing together in the driveway and just humming La Vie En Rose as they danced and said "We do this all the time in our living room!" So stinkin cute. Oh and those CATS!!!! I want to just squeeze and cuddle those furry pillows. The dog is super cute too Joey. ;) Those animals are their babies so it was so important that we included them in some shots! Haley and Joey, we are beyond excited to photograph your wedding in Chicago next July and can't wait for the fun times ahead! Enjoy these favorites from your adorable session!